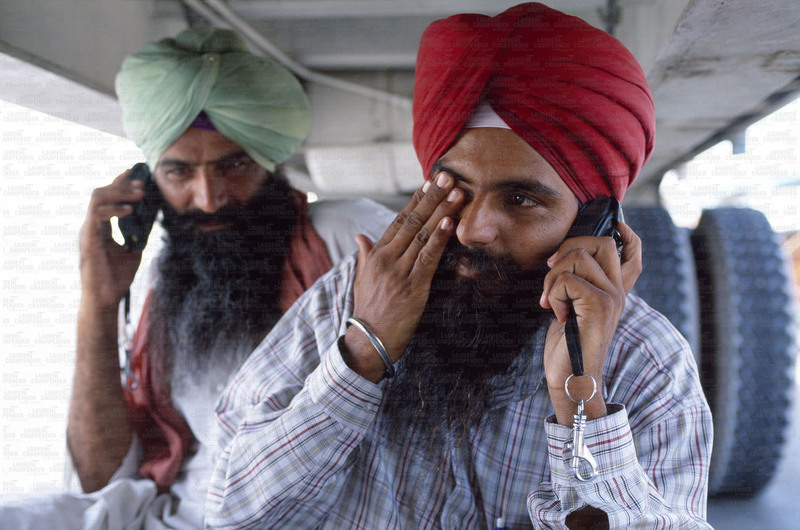 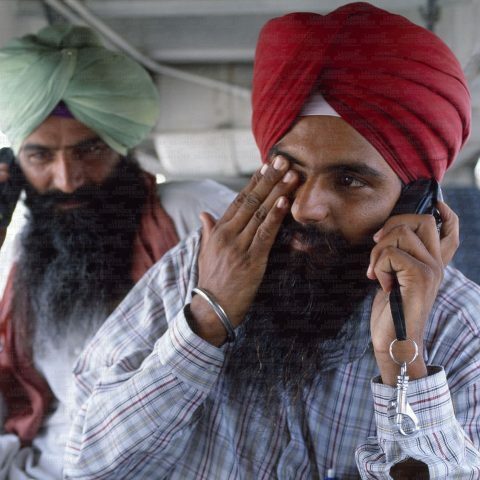 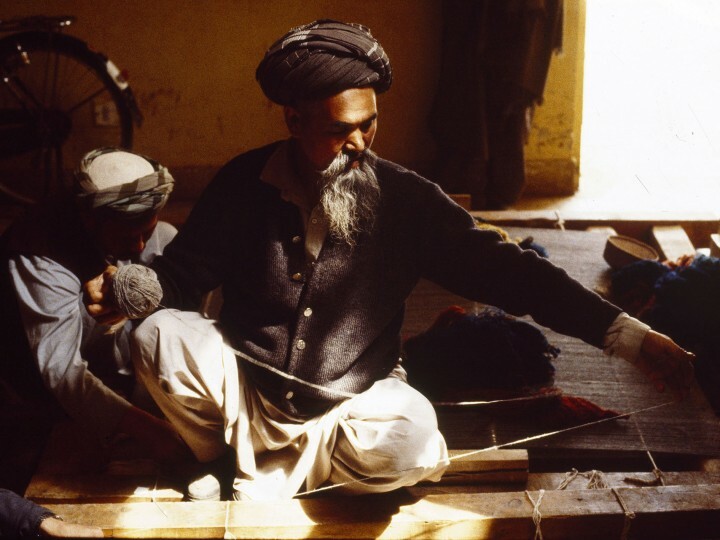 Sikh traders. 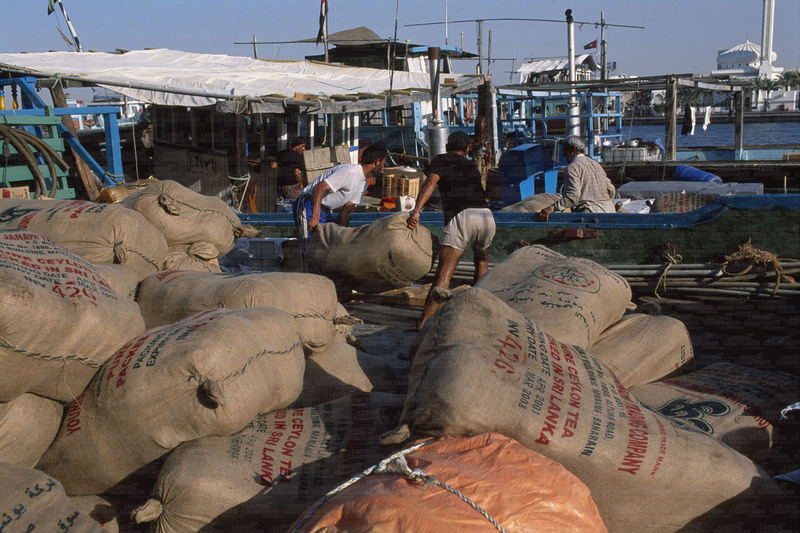 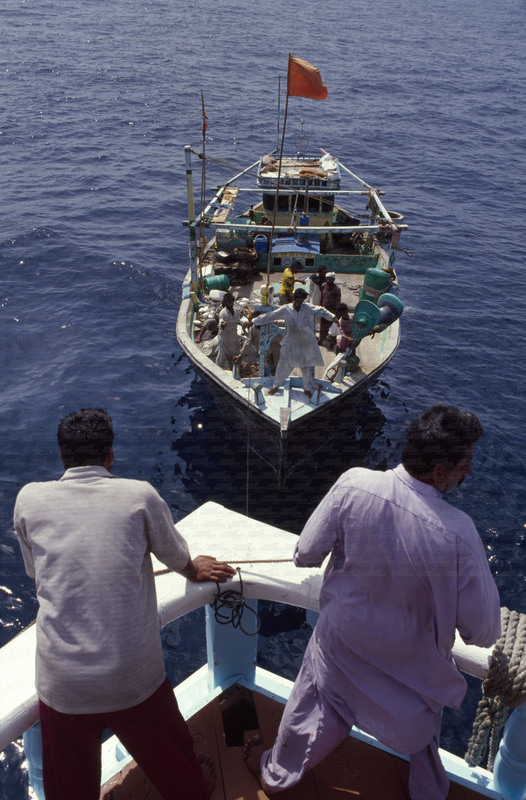 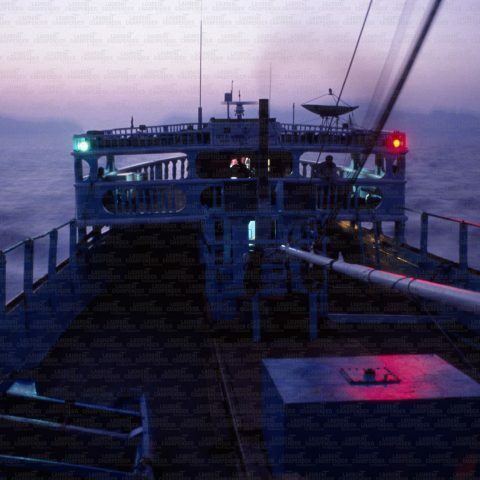 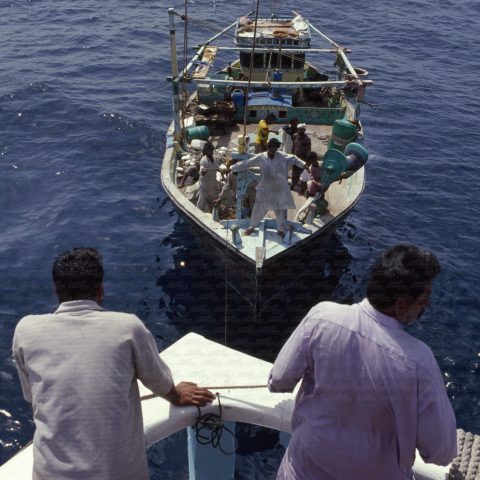 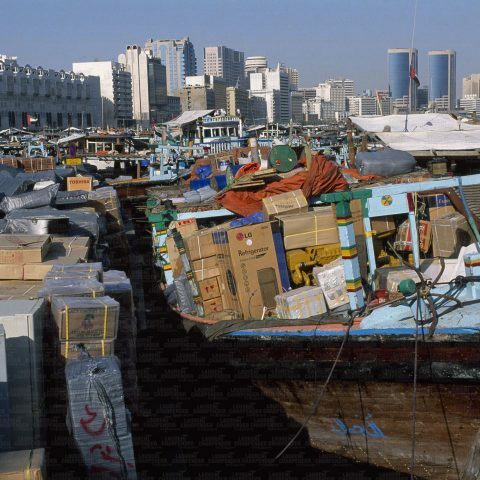 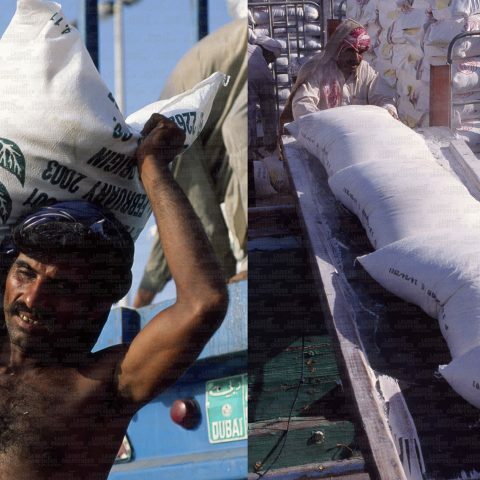 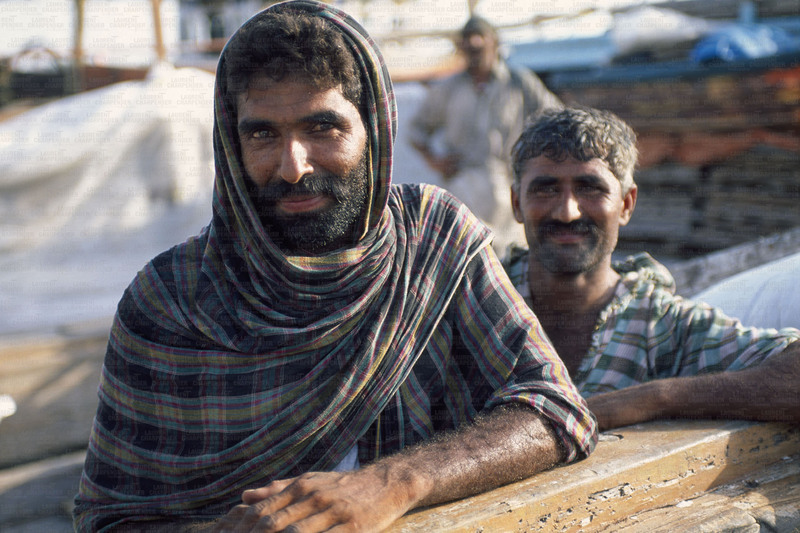 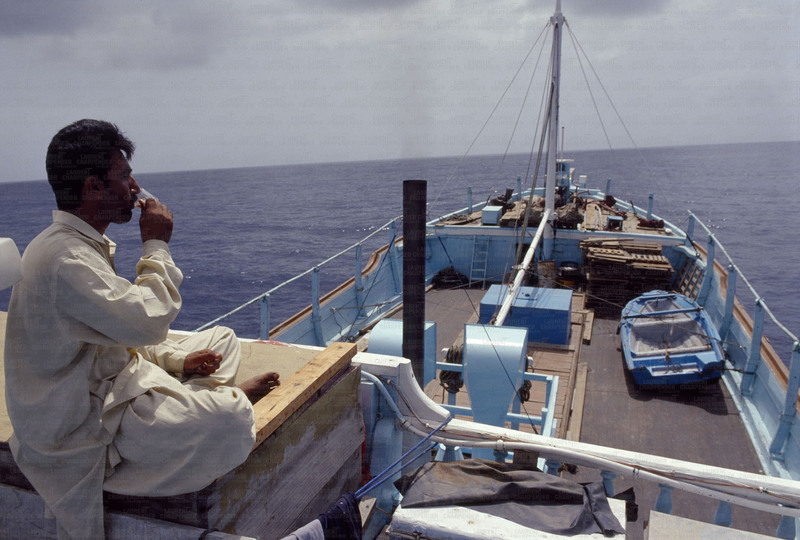 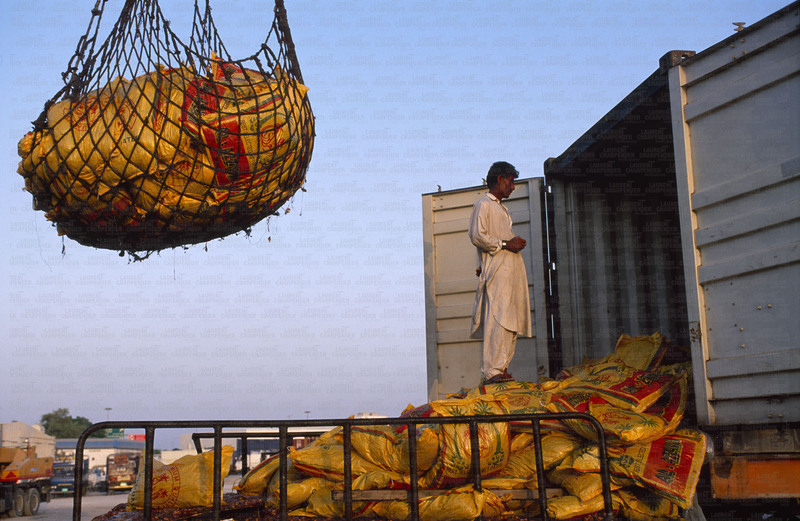 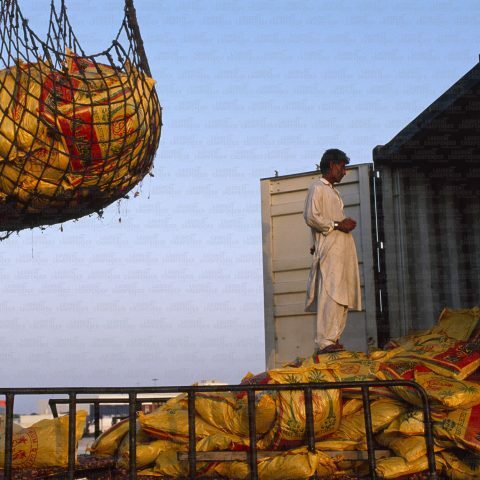 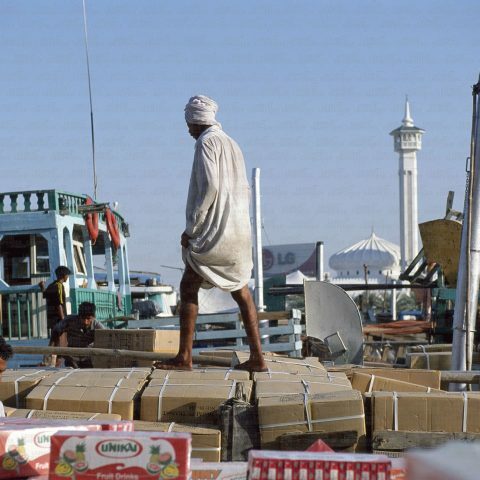 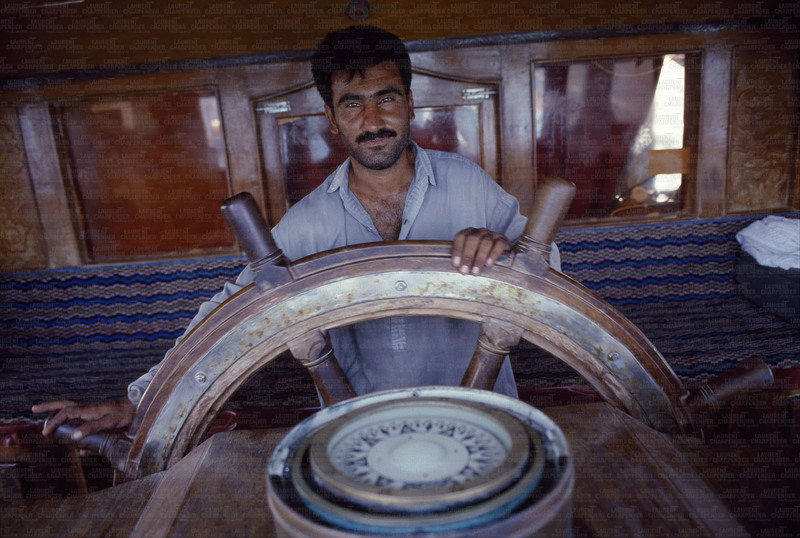 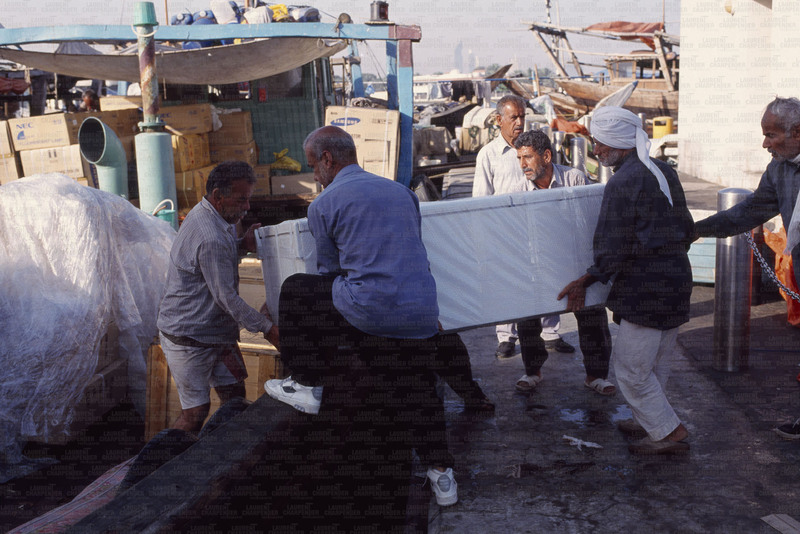 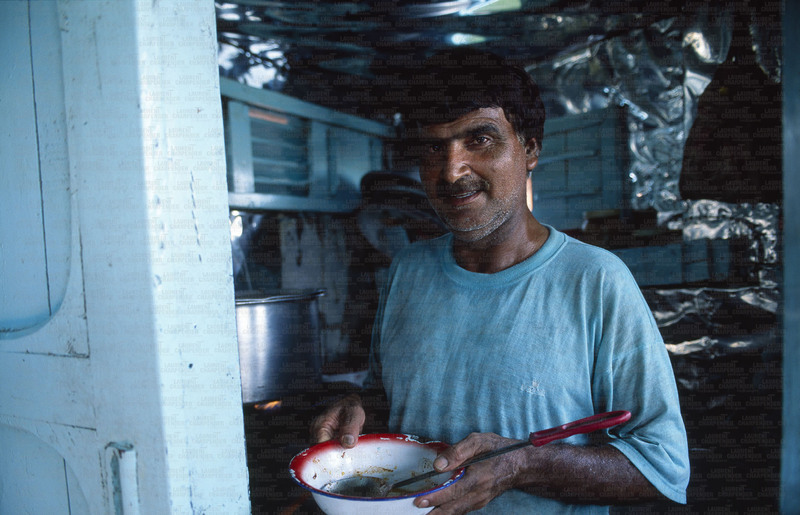 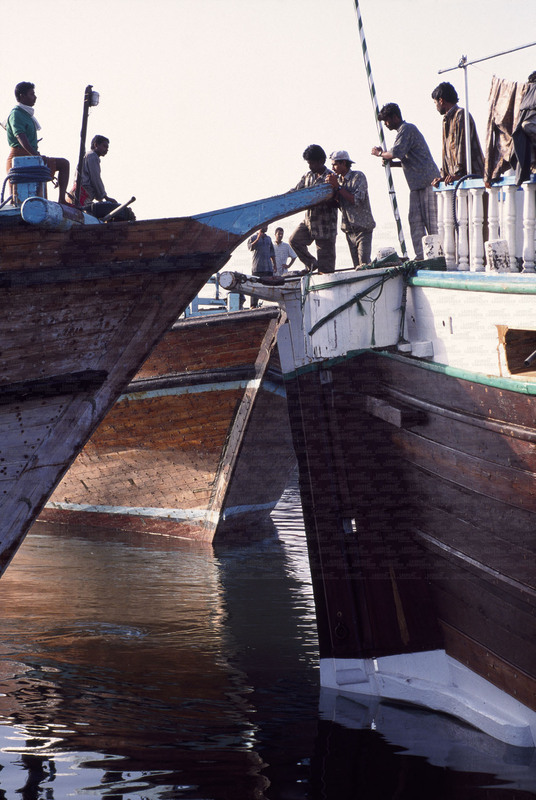 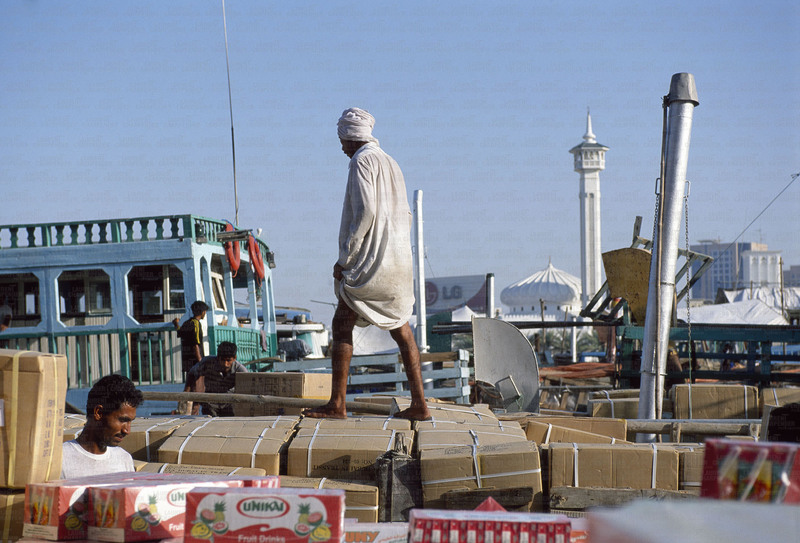 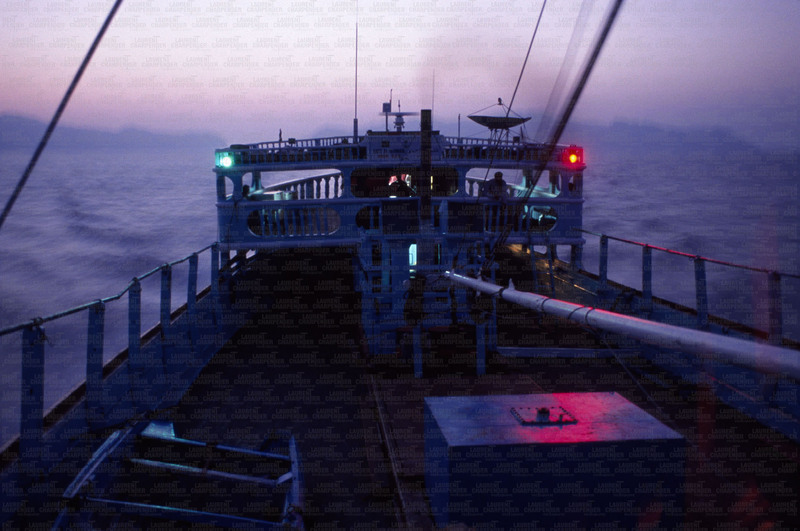 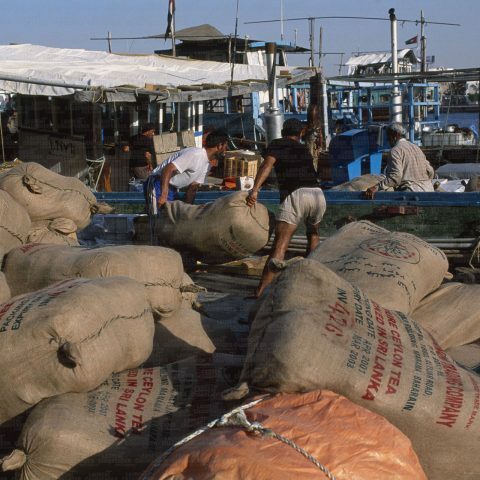 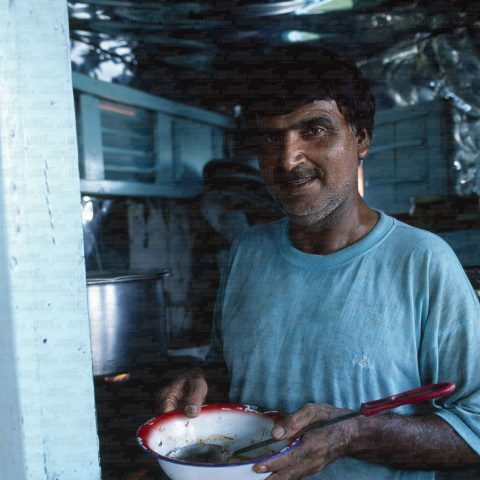 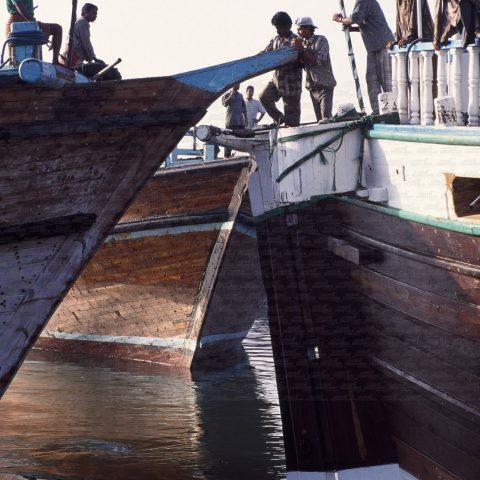 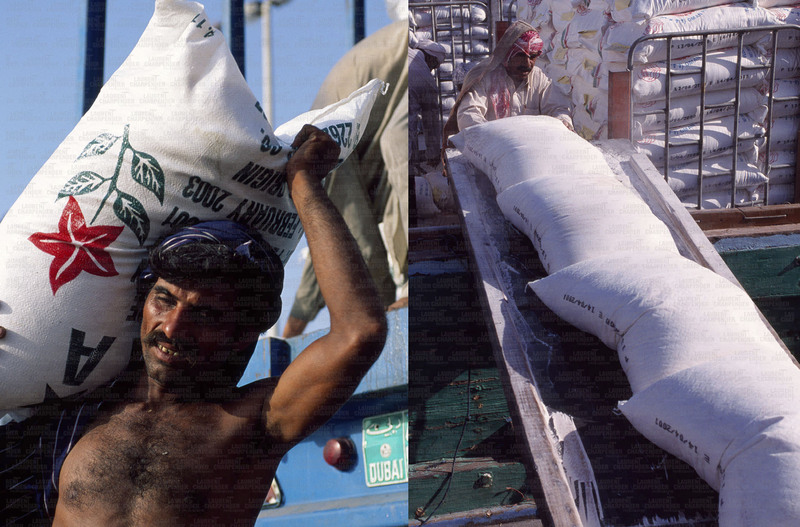 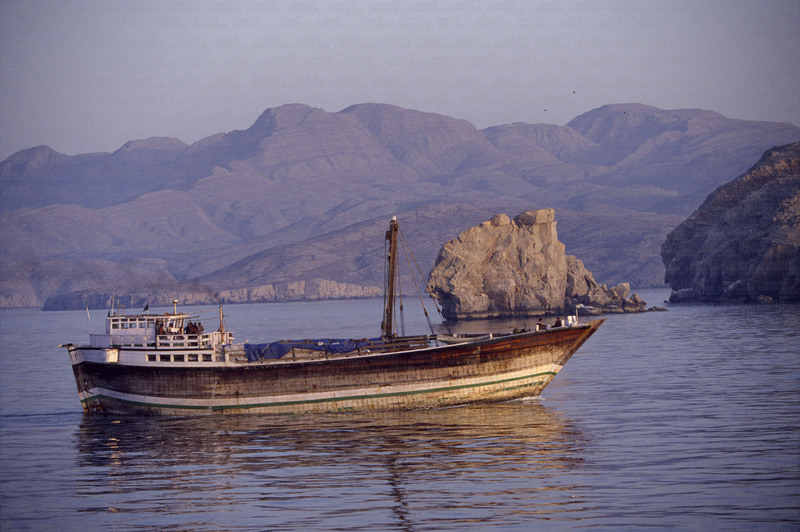 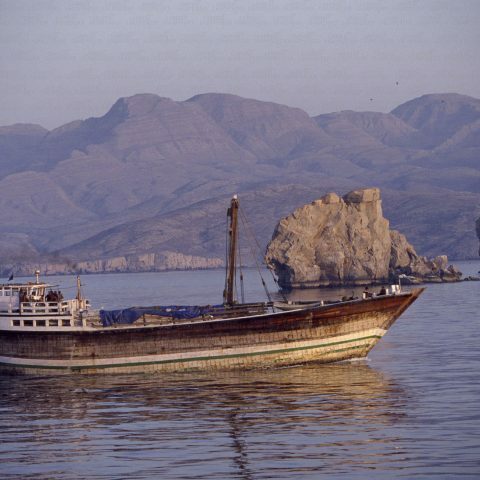 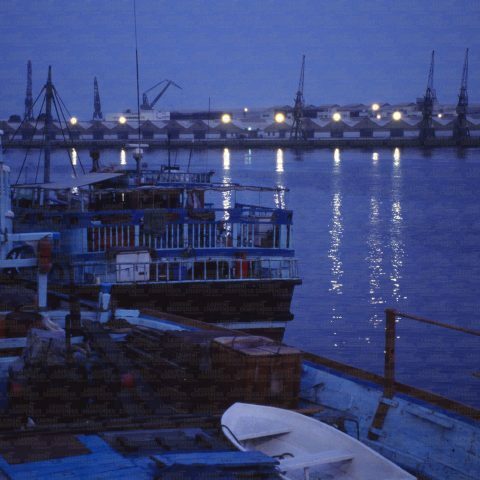 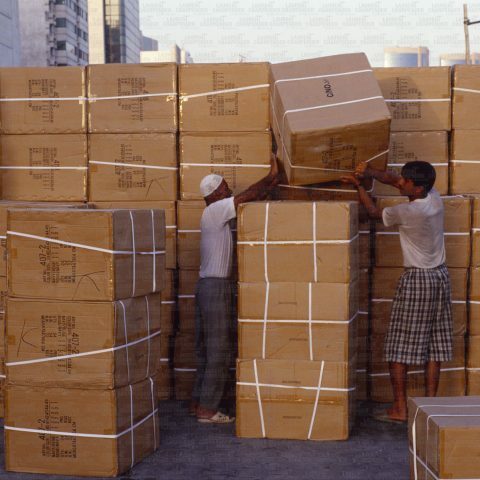 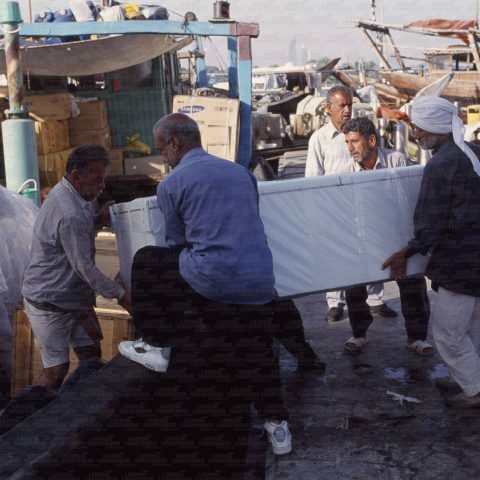 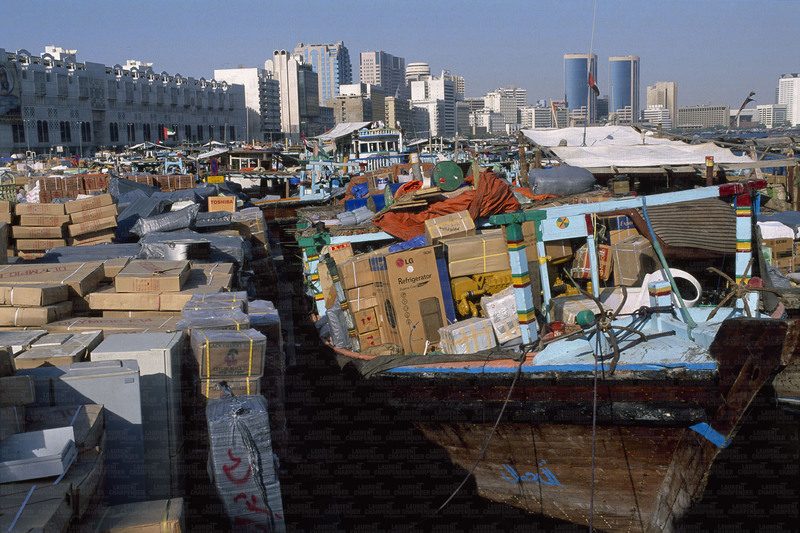 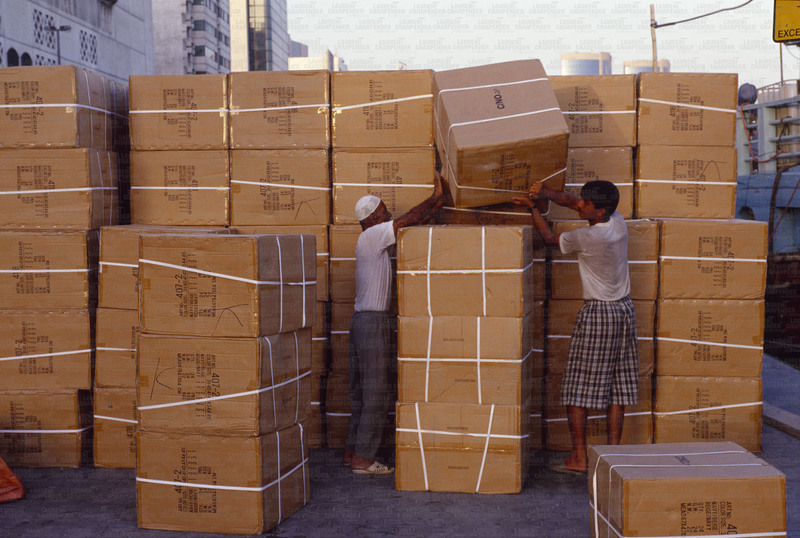 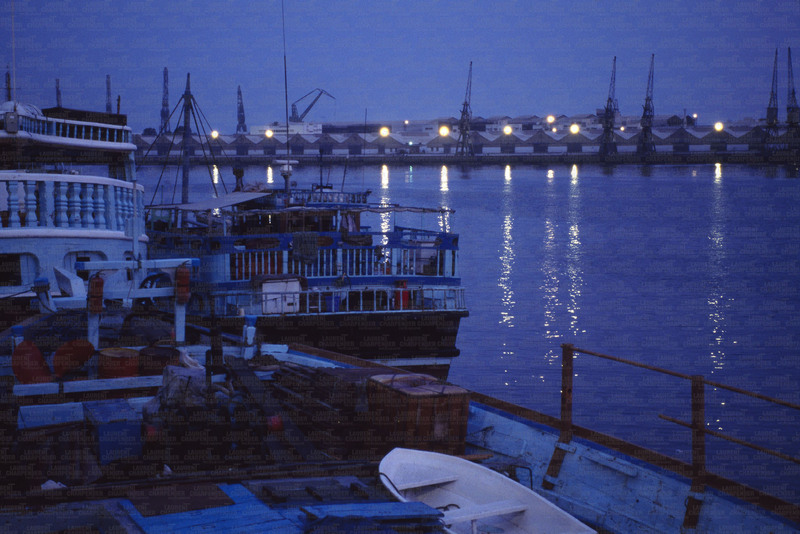 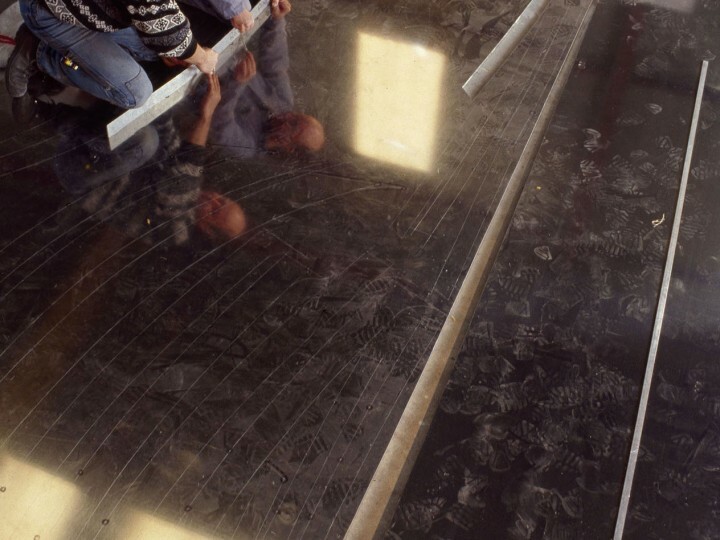 The goods loaded on dhows are transported from Dubai to many places, such as Iran, India, Somalia or Pakistan. 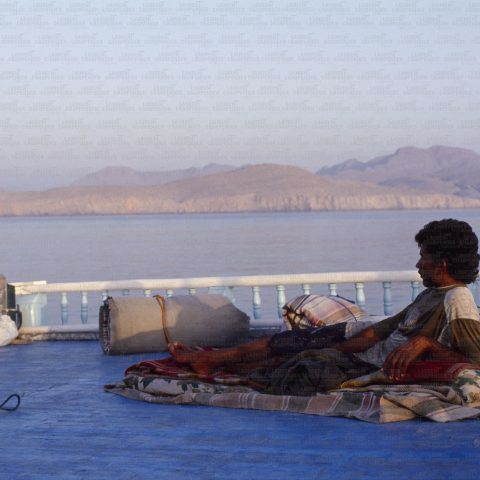 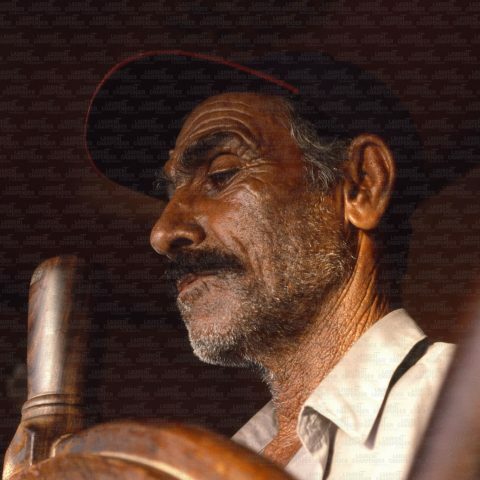 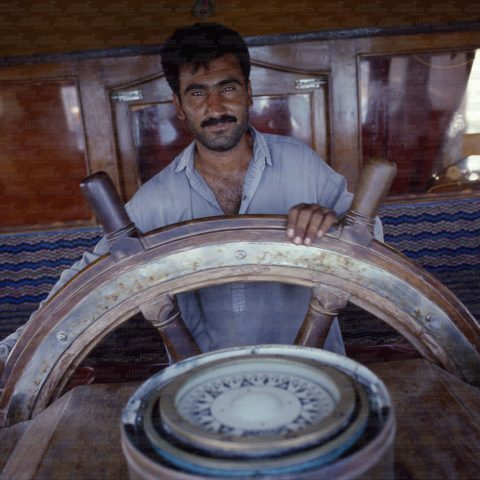 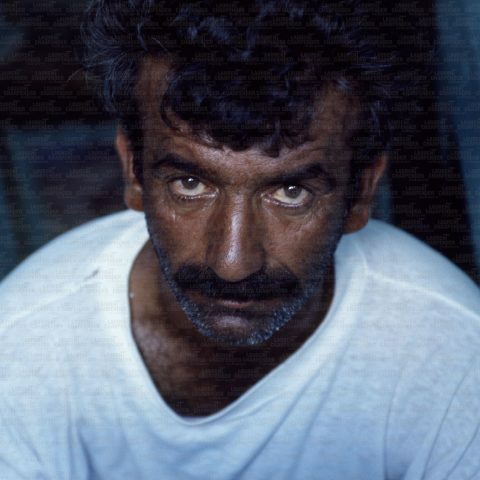 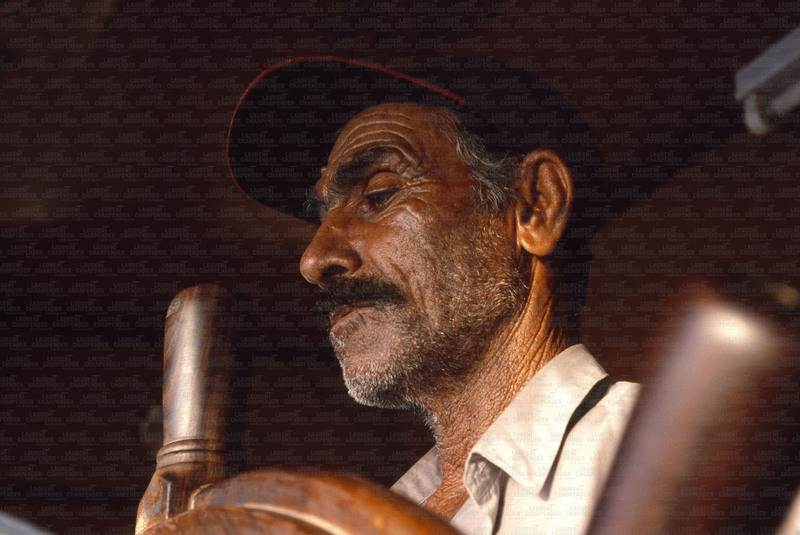 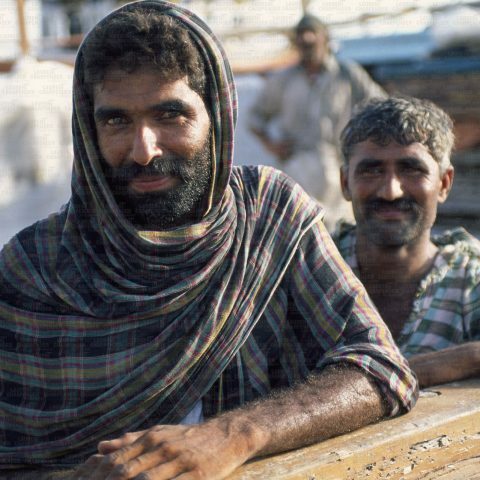 The crew of the Pakistani dhow "Fate Al Rahman"
Helmsman. 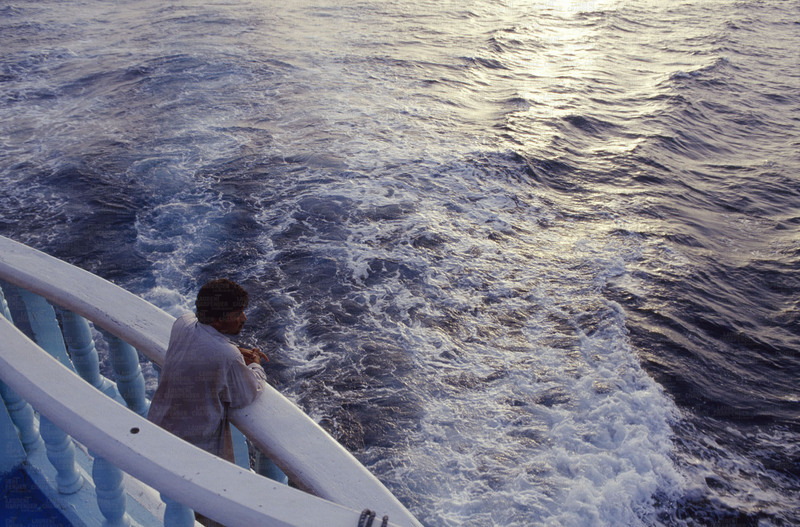 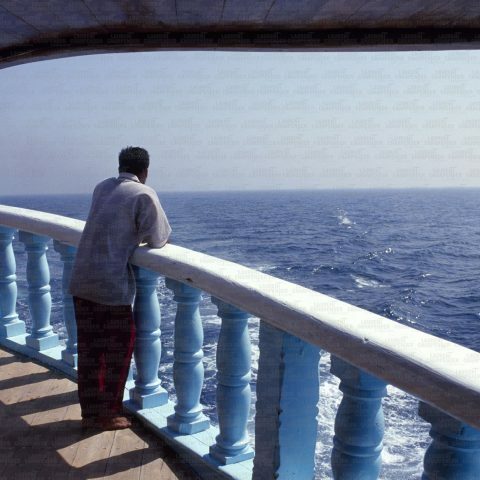 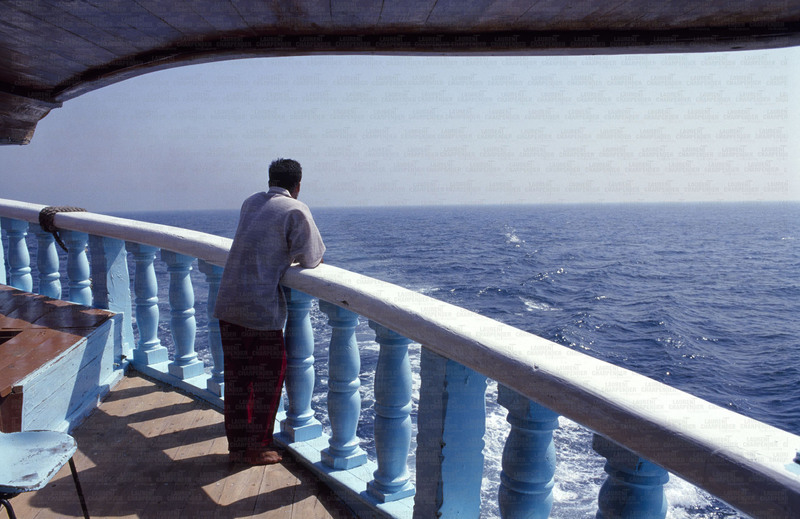 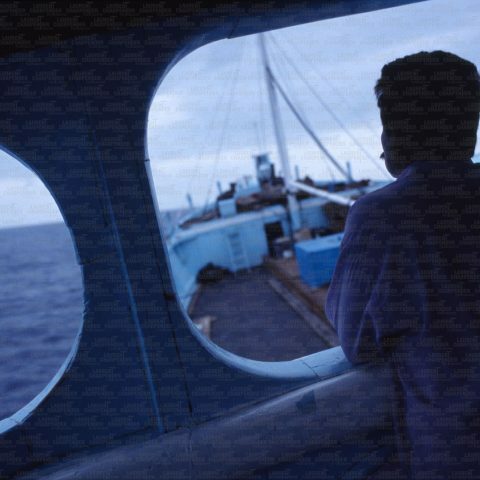 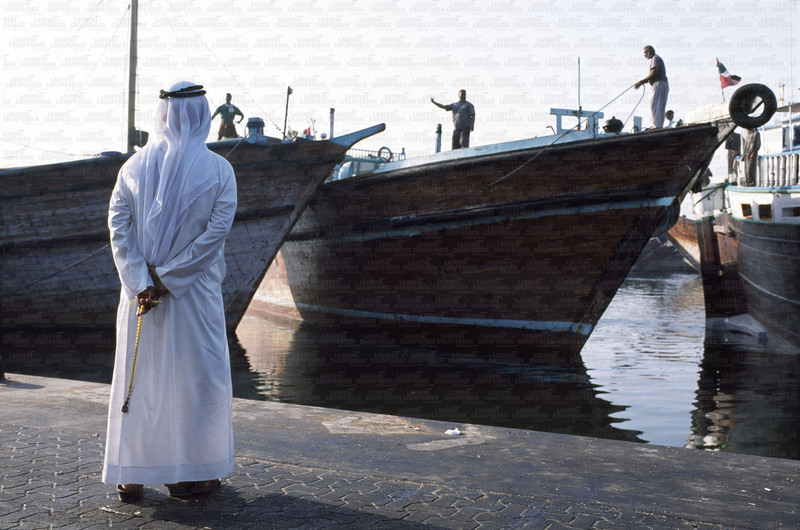 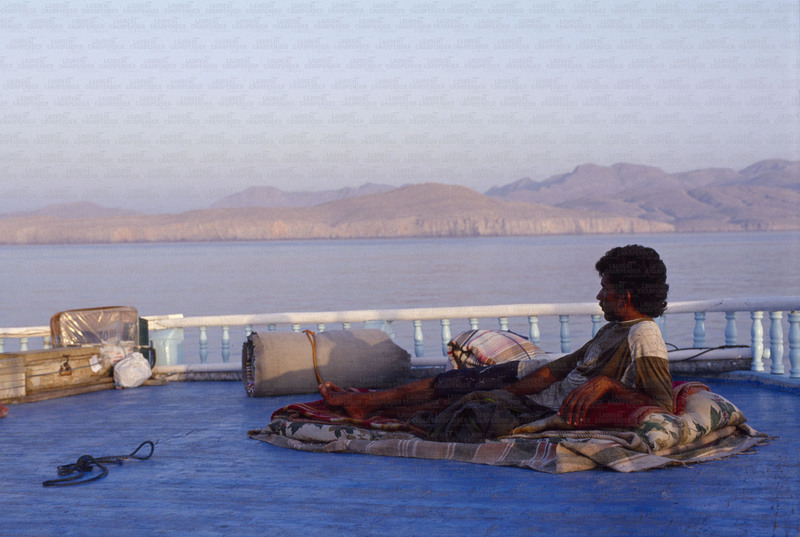 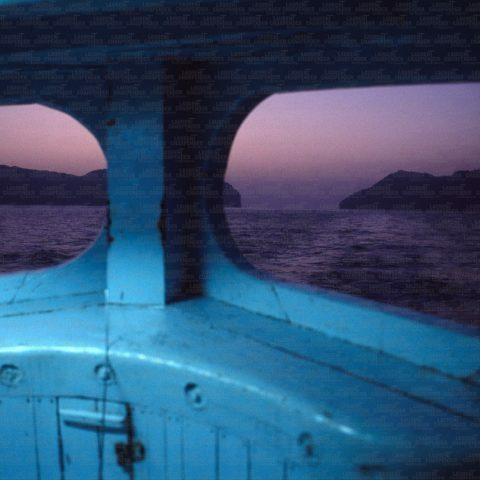 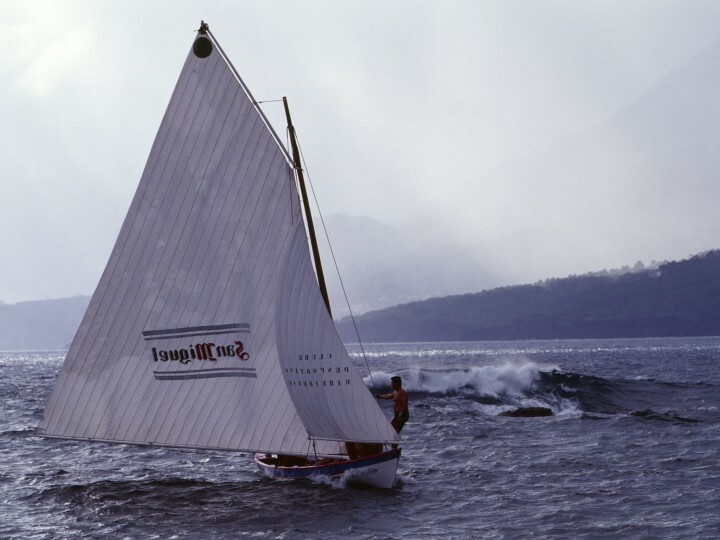 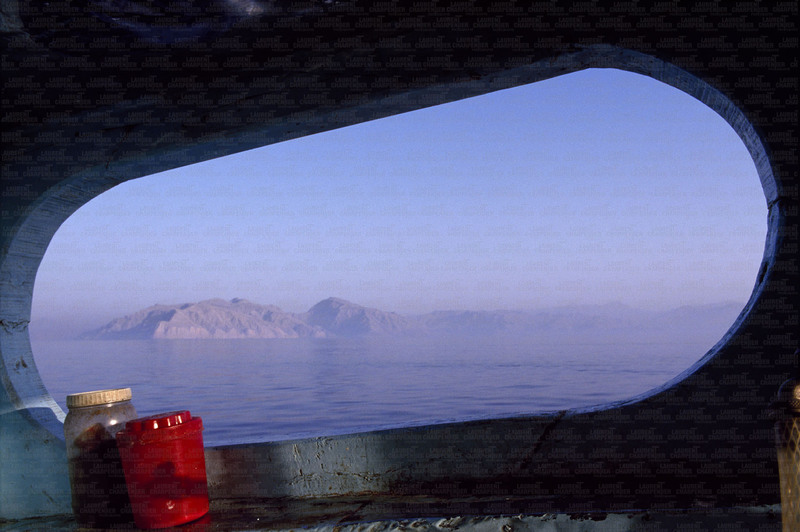 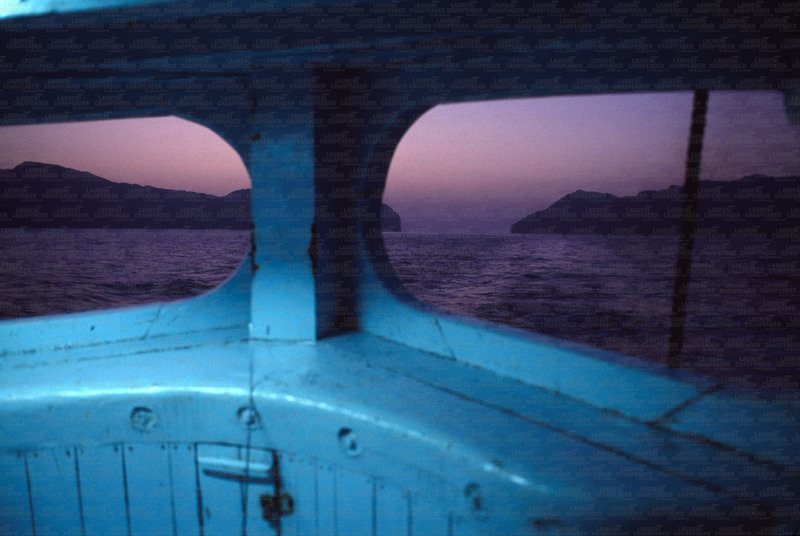 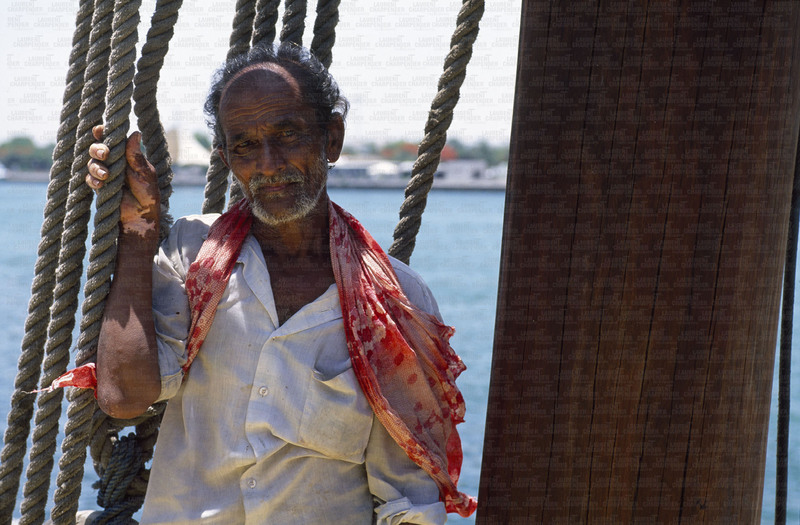 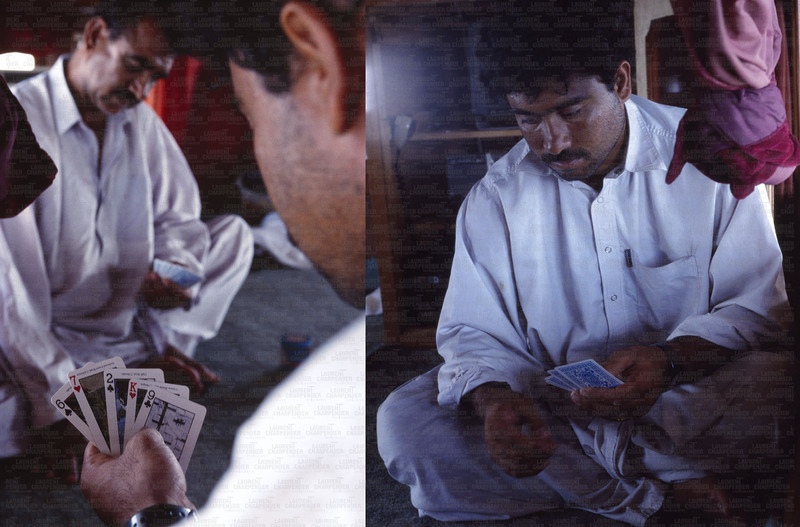 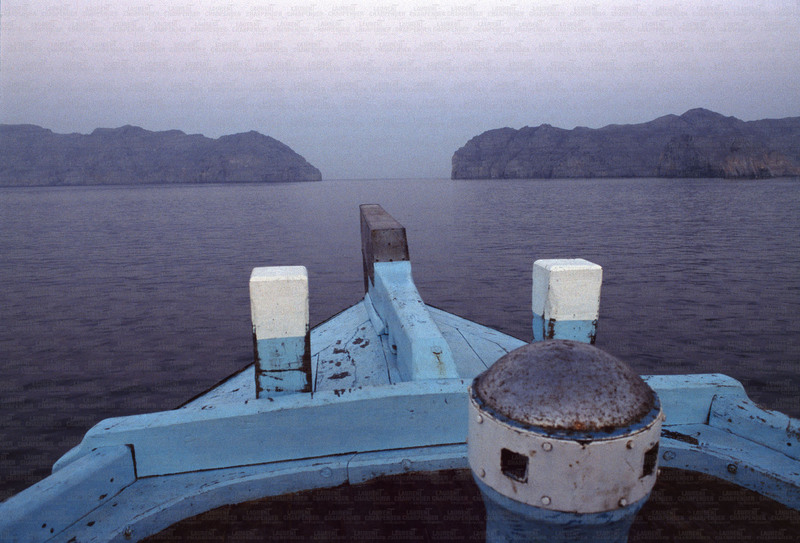 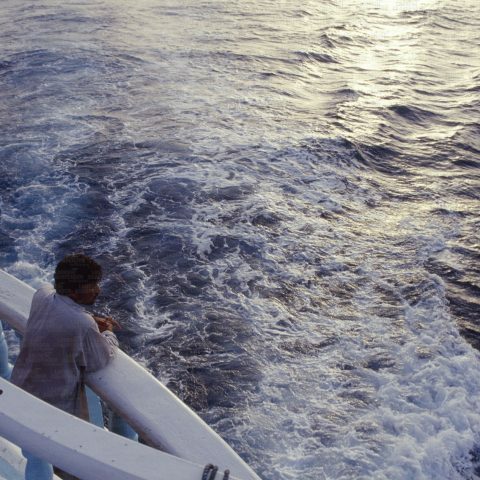 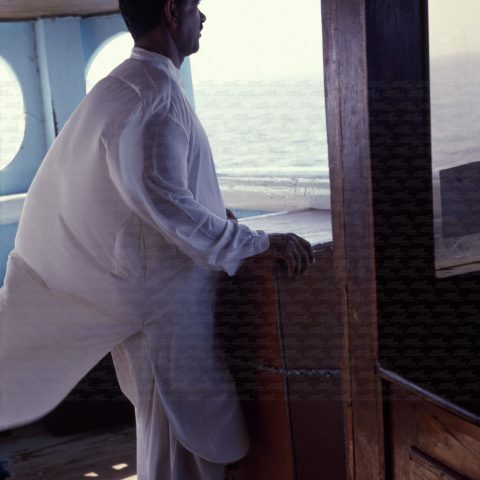 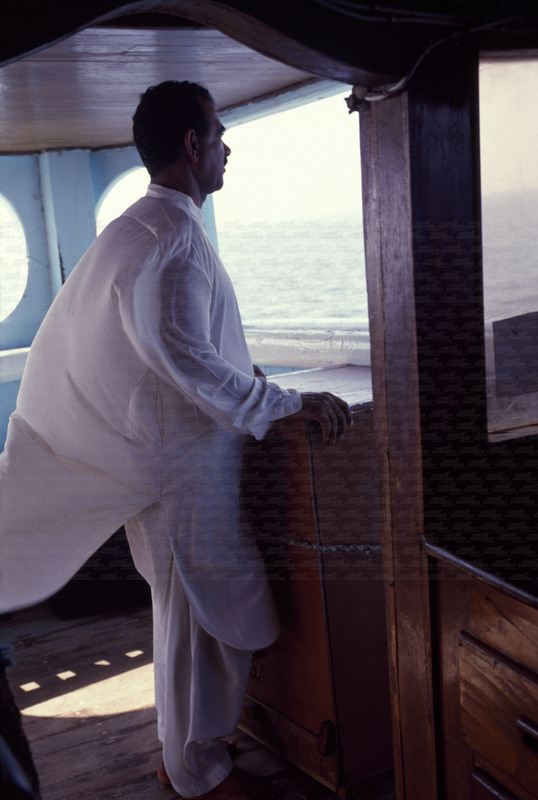 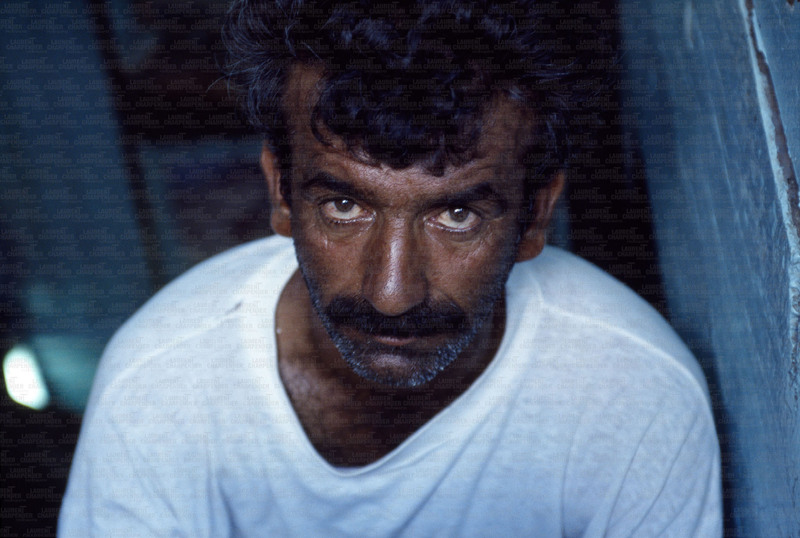 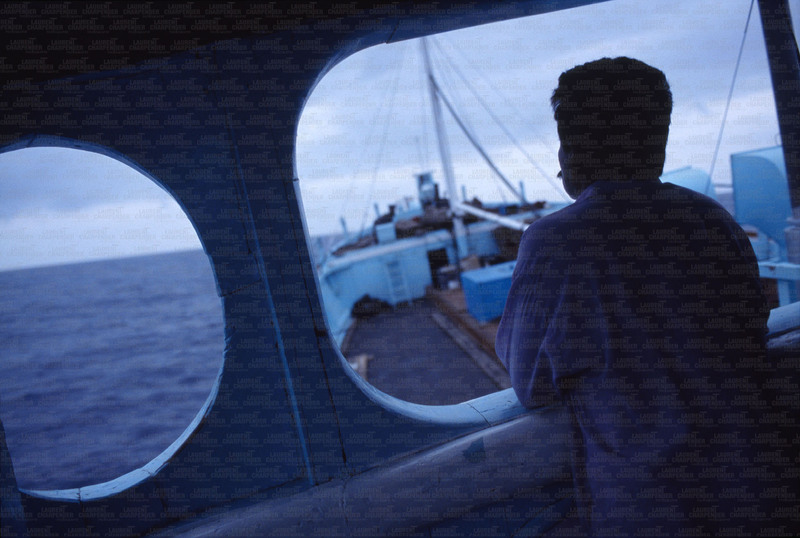 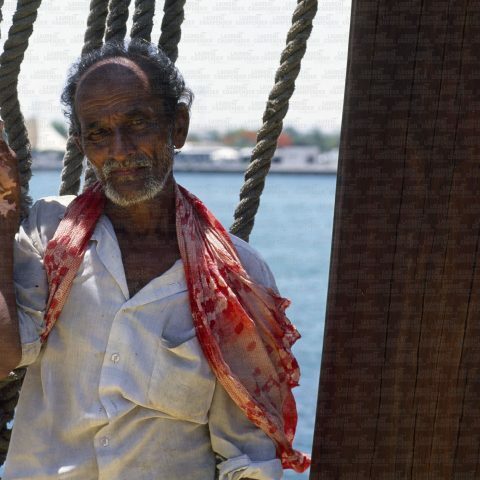 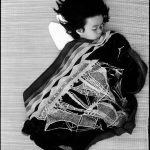 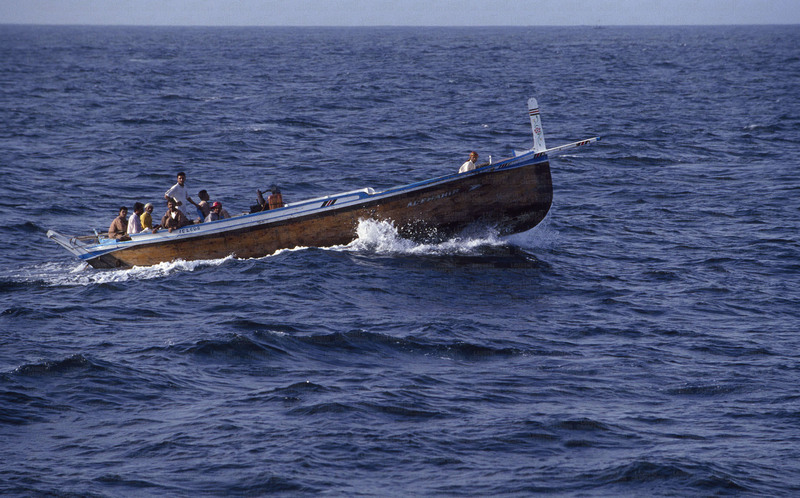 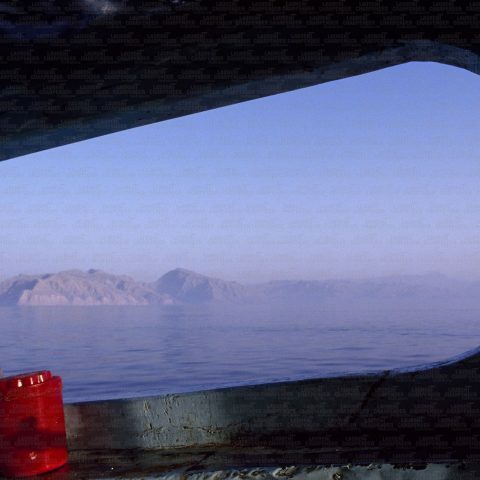 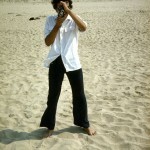 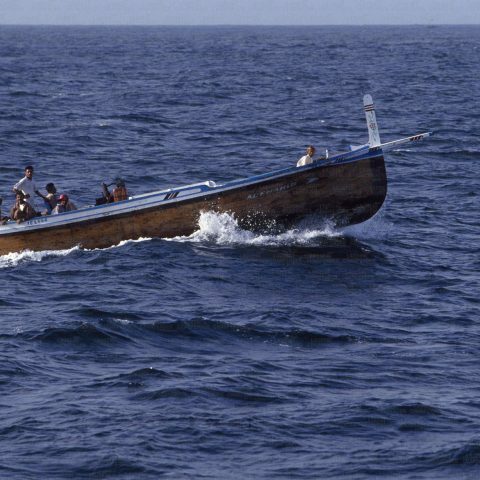 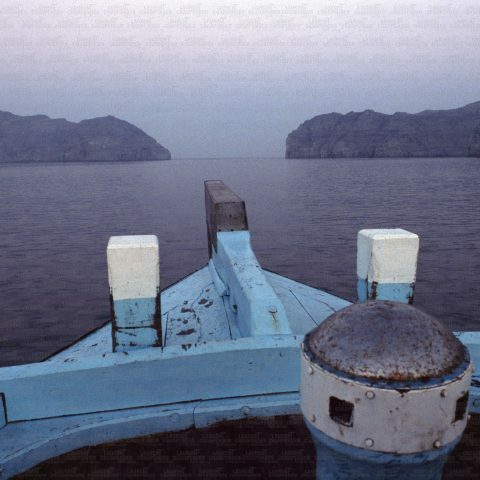 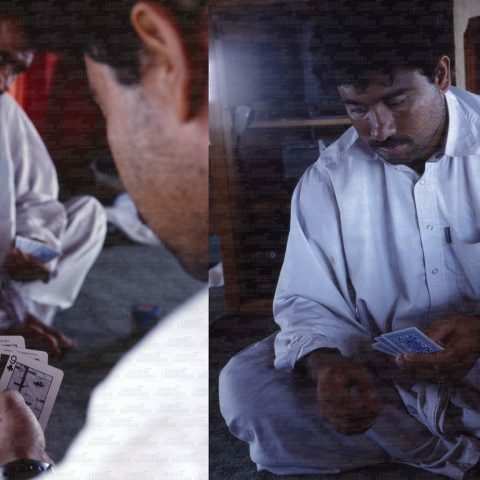 One after another, each seaman of the "Fate Al Rahman" steers the dhow . 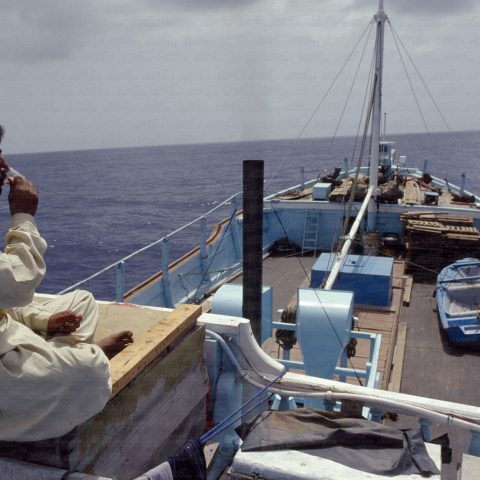 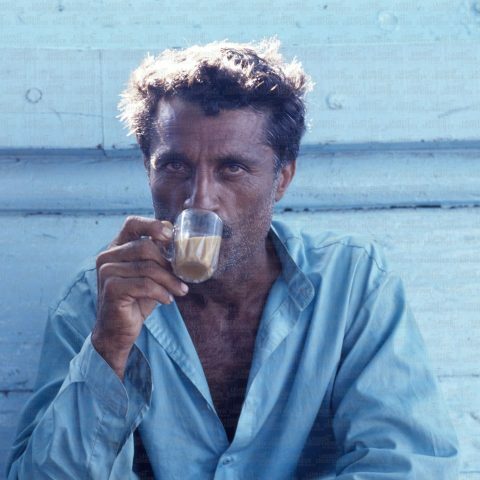 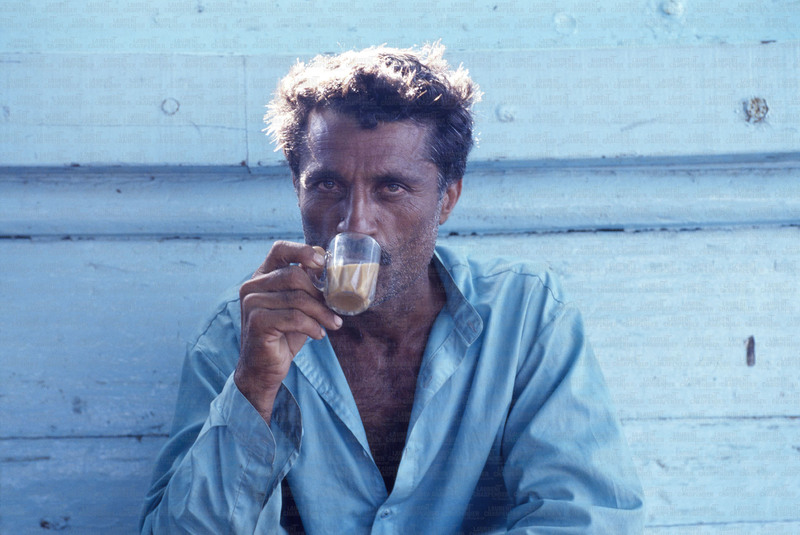 Tea time aboard "Fate Al Rahman"